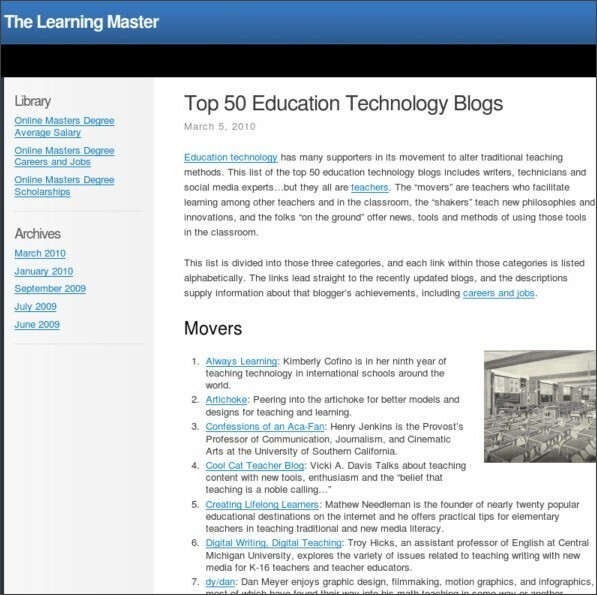 Check out the blogs in the Top 50 Educational Technology Blogs for new thinking about teaching learning and technology. Add the ones you like best to an RSS feed and share their thinking in your professional learning circles. P.S. I have it on good authority that Arti' is dead chuffed at being described as "a mover".